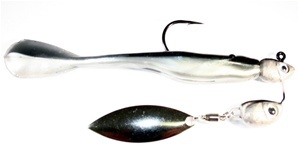 The Gambler Meano is the best in shad spin style baits. The Meano features a double headed design to prevent rollover, Gamakatsu hooks, 3D eyes, and a high quality paint job. 4" Flapp'n Shad not included.